At the 2016 BET Awards, actor and activist Jesse Williams received the Humanitarian work for his work supporting the Black Lives Matter movement. 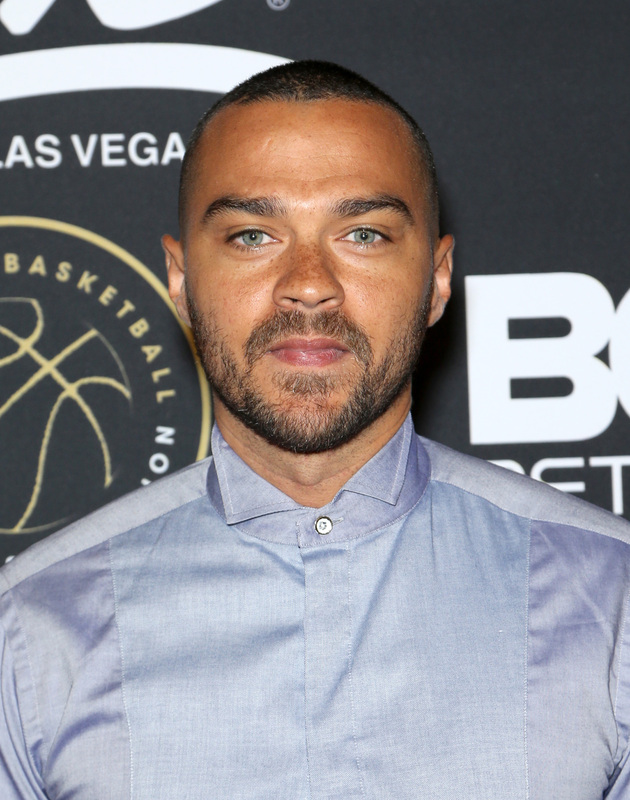 The 31-year-old Grey's Anatomy star has been outspoken about the issue and has even directed a documentary called Stay Woke: The Black Lives Matter Movement. As this transcript of Jesse Williams' BET speech proves, the moment he accepted the 2016 Humanitarian Award was very poignant. "This award, this is not for me," he began his remarks saying. "This is for the real organizers all over the country, the activists, the civil rights attorneys, the struggling parents, the families the teachers, the students that are realizing that system built to divide and impoverish and destroy us cannot stand if we do." He continued with a tribute to black women and mothers who dedicated their lives to raising and nurturing their children. "We can and will be better for you. Now, what we’ve been doing is we’ve been looking at the data and we know that police someone manage to deescalate, disarm, and not kill white people every day," he said. "So what’s gonna happen is, we are gonna have equal rights and justice in our own country, or we will restructure their function and ours." Yesterday would’ve been young Tamar Rice’s fourteenth birthday. So I don’t wanna hear anymore about how far we’ve come when paid public servants can pull a drive-by on a 12-year-old playing alone in a park in broad daylight, killing him on television and then going home to make a sandwich. Tell Rakia Boyd how it’s so much better to live in 2012 than it is to live in 1612 or 1712, tell that to Eric Garner, tell that to Sandra Bland tell that to Dorian Hunt. Now the thing is though, all of us in here getting money, that alone isn’t gonna stop this. Alright? Now dedicating our lives to getting money just to give it right this back for someone’’s brand on our body when we spent centuries praying with brands on our bodies, and now we pray to get paid for brands on our bodies. There has been no war that we have not fought and died on the frontlines of, there has been no job that we have not done, there is no tax they haven’t levied against us. But freedom is somehow always conditional here. “You’re free,” they keep telling us, "but she would’ve been alive if she hadn’t acted so... free.” Now freedom is always coming in the hereafter, but you know what though, the hereafter is a hustle. We want it now. And Williams told the crowd they aren't allowed to just stand by and watch anymore. It's time to mobilize. The burden of the brutalized is not to comfort the bystander. That’s not our job. Stop with all that. If you have a critique for the resistance, for our resistance, then you better have an established record of critique of our oppression. If you have no interest in equal rights for black people, then do not make suggestions to those who do. Sit down. We’ve been floating this country on credit for centuries, yo. And we’re done watching and waiting while this invention called whiteness uses and abuses us, burying black people out of sight and out of mind while extracting our culture, our dollars, our entertainment like oil, black gold. Ghettoizing and demeaning our creations, then stealing them, gentrifying our genius, and then trying us on like costumes before discarding our bodies like rinds of strange fruit. The thing is though, that just because we’re magic doesn’t mean we’re not real. Not only did the 2016 BET Awards celebrate entertainment, it paid special attention to the issues affecting us today. Williams' power words came on during a ceremony that also included BET president Debra L. Lee speaking out against gun violence and in support of gun control. Who else totally has chills after reading that speech?